Millions of people interact with digital devices every day. This digital design degree lets you explore the many aspects of digital design, giving you the skills needed to create ingenious work. Our student-centered curriculum, skilled faculty, and up-to-date facilities prepare you for a dynamic career in this field. 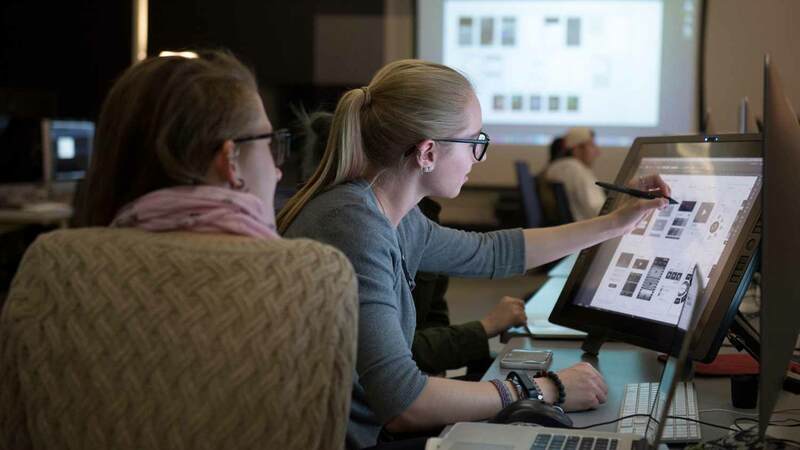 The new media design major is for students who are fascinated by visual design, user experience design, interactivity, motion graphics, and technology. Students learn the skills required to meet the demands of new media, web design, and mobile app marketplaces. Courses, projects, and explorations allow students to create user-centered solutions that leverage new opportunities in visual design, communication, and user experiences across a full spectrum of digital products and interfaces. A balance of visual design foundations, information design, user interface design, user experience design, 3D modeling, motion graphics, usability research, and programming create the skilled background needed to design cutting edge interactive solutions from mobile to fully immersive digital environments. Collaborations with students from RIT’s new media interactive development major (housed in the B. Thomas Golisano College of Computing and Information Sciences), as well as other majors and corporate clients, provide teamwork experience and leverage the designer-programmer-client relationship. 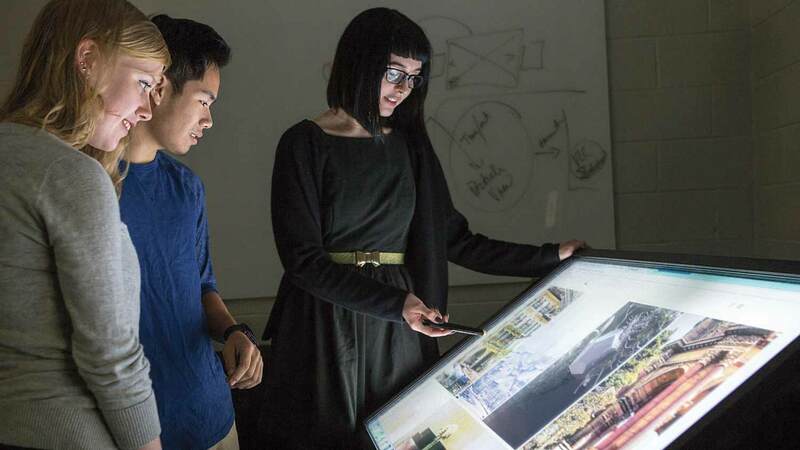 Students are well-positioned for careers in visual, interactive, and user experience design for digital advertising, marketing, mobile, web application, entertainment, and corporate design. 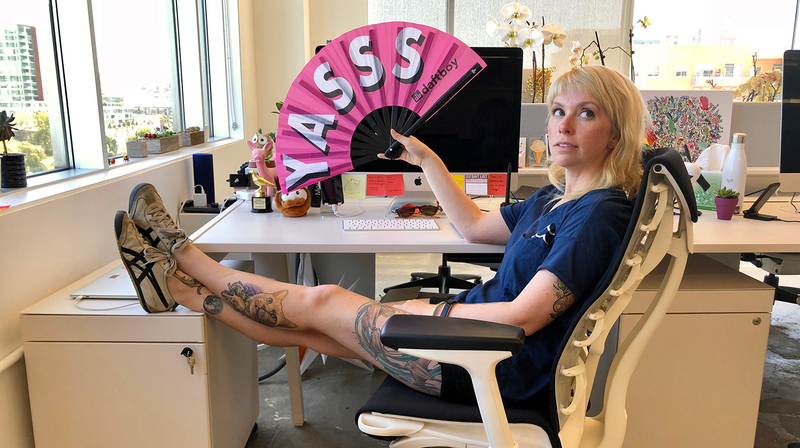 In her roles at Lyft, first as a product design systems lead and now a product design systems manager, Linzi Berry ’09 (new media design) performs many tasks. 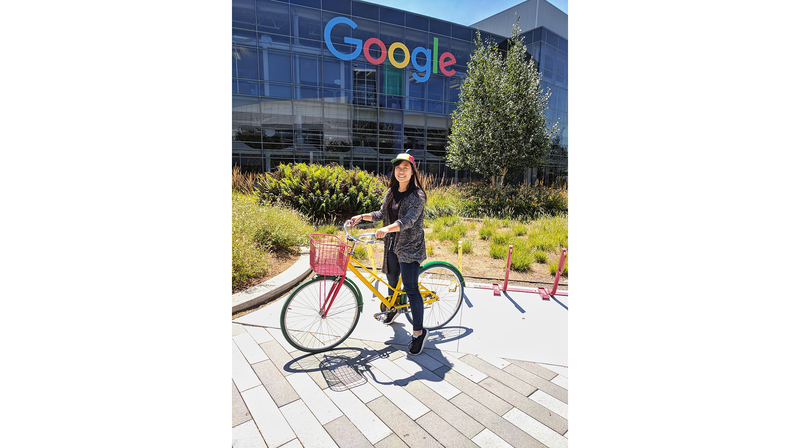 After graduating from RIT's new media design program, Ethelia Lung '18 landed a job as an interaction designer at YouTube. This course provides an introduction to key internet, web and multimedia technologies. Topics covered include computer-based communication and information, basic HTML, Adobe Flash and WYSIWYG editors, basic internet applications such as FTP, basic use of digital images, audio and video techniques, web page design, web animation for development and publishing. A comprehensive course in visualization that extends previous experience and skills to include three-dimensional creation and design. The course will provide studies in 3D modeling, rendering and animation for use in virtual spaces, rich internet and mobile applications as well as motion graphic design. Digital 3D tools will be used for solving visual design and communication problems. Students will be expected to show evidence of growth in 3D asset creation and usage in the form of simple product renderings, interactive integration and story based animation. This project-based course provides training and practical experience in producing two- and three-dimensional animated sequences using off the shelf multimedia software. Students produce a number of short exercises incorporating original computer and non-digital artwork. Topics include key frame and tweening, cycling, acceleration, squash and stretch, backgrounds, inking, rotoscoping, sound, masking, multi-plane effects and space-to-time. Screenings of professionally made films will illustrate and provide historical perspective. This course will deal with design concepts related to moving type. The impact of type as it moves, rotates, explodes, scales and fades will be considered. Legibility of the message will be studied in relation to delivery methods. Additional compositing, three-dimensional, camera tracking and special techniques and effects will be introduced during the class. This course focuses on advanced visual communication within the current new media design profession. Through formal studies and perceptual understanding, including aesthetics, graphic form and structure, concept development and visual organization methods, students will design sophisticated solutions to communication problems. This course integrates imagery, typography, icons, user interface design, content creation and information architecture in order to design successful static, motion and interactive experiences. A study of the application of information design theory and practice to the developing area of new media. Cartography and iconography will be viewed in the context of web and kiosk use. The delivery of consumer information, using interactive and dynamic media as the vehicle, will be investigated. Students will create innovative interactive product promotions and installations. The projects created in the class will embrace new technolgy and will focus on innovative solutions for real world design problems. An emphasis will be placed on researching new technology and using it in conjunction with solid interactive design skills to create innovative projects. This project-based course affords the student the ability to apply an experimental approach to integrating digitally generated content with new media techniques and processes in new, imaginative ways. Students will be encouraged to approach the computer as a medium of creativity to explore issues of narrative, identity, place, and visual reality vs. digital reality. Students will exhibit completed projects in a virtual or public forum. This course is topic based and can be taken multiple times for credit. Specific topics can only be taken once. The topics will include advanced concepts in 3D, UX, digital art and interaction design. † Art history electives are non-studio courses offered in the College of Art and Design or the College of Liberal Arts that examine the historical aspects of art, design, crafts, photography, print media, or film. The school maintains memberships in a variety of professional organizations, including Industrial Designers Society of America, ACM Siggraph, Society of Environmental Graphic Designers, American Society of Interior Designers, American Institute of Architects, ICOGRADA, American Institute of Graphic Arts, and International Interior Design Association.